If you want to create a file sync/share server for your photos, backups, calendars or any other kind of data, ownCloud is the way to go. It’s a self-hosted open-source software focused towards simplicity and customization. While resembling services like Dropbox or Google Drive, ownCloud comes free of charge for anyone eager to try it on their computers or servers. In this tutorial, you will learn how to install and configure ownCloud on CentOS 7 VPS. 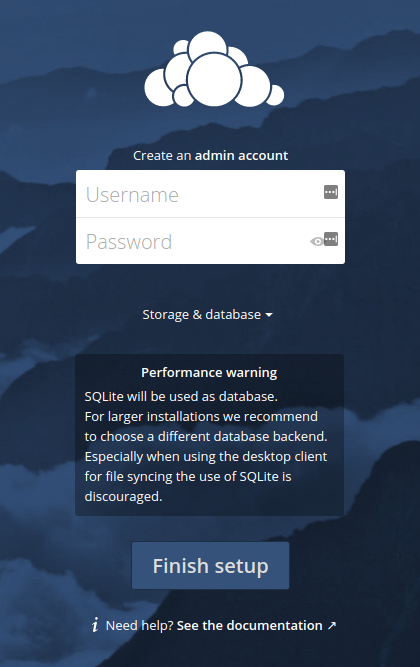 You have just installed ownCloud package, now it’s time to create a database! Once prompted, enter the password that you initially set while installing the server. Database and user are ready, now we can proceed configuring ownCloud. Fill in Username and Password fields to create a new administrator account. Then, click on Storage & database. Leave data folder as is and click on MySQL/MariaDB under Configure the database section. Here you need to enter the database name and user which were created in Step 2. After all is set just proceed further by clicking on Finish setup button. That’s it! 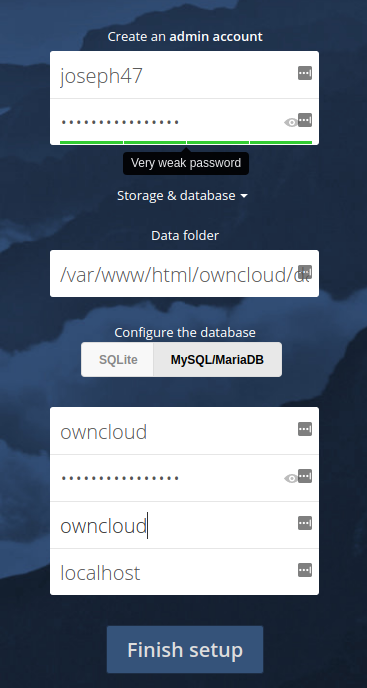 You have successfully installed ownCloud, now you can upload data to your own personal cloud. ownCloud installation was a quite simple process, you have installed new CentOS repository along with ownCloud itself on CentOS 7 VPS, then you created a database and specified configuration details in initial ownCloud setup. 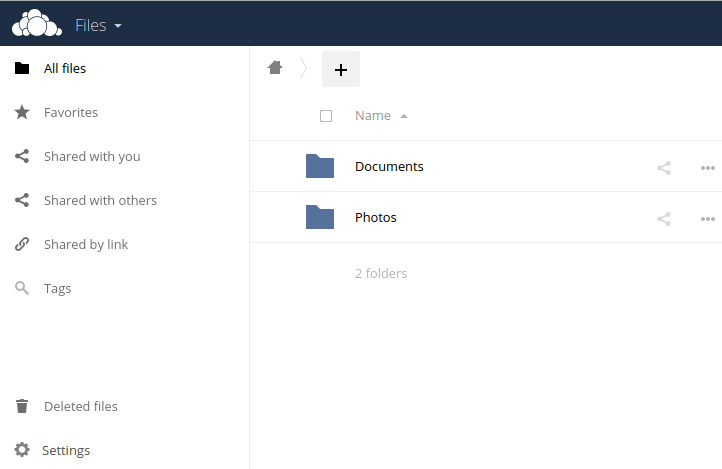 Now you can enjoy all the features that come with ownCloud.